Now that Katniss Everdeen has completed her unprecedented second hunger game, she learns that her home district is no more. What remains of Katniss’s people have been relocated and the rebellion against the Capital is in full swing. Now more than ever, the question of who to trust plagues our heroine. Is President Snow the evil one after all? Whether in triumph or loss, one way or another, the hunger games are brought to an end. Our questions are finally answered: does Katniss ever get the chance to confront the cruel leader who has been the cause of every tragedy in her life? Does either Peeta or Gale eventually win her heart? And what is the ultimate outcome of the war between the rebels and the Capital? I don’t think I was breathing correctly throughout the last 100 pages; I was actually physically distraught over how things were turning out. It was the same way I felt during the last part of The Return of the King, wondering how it could be possible for tiny, ill-equipped Frodo to stand a chance against the gigantic all-powerful Sauran. The battle is staged as an impossibility right from the start, but we do love to root for the hopeless underdog, don’t we? 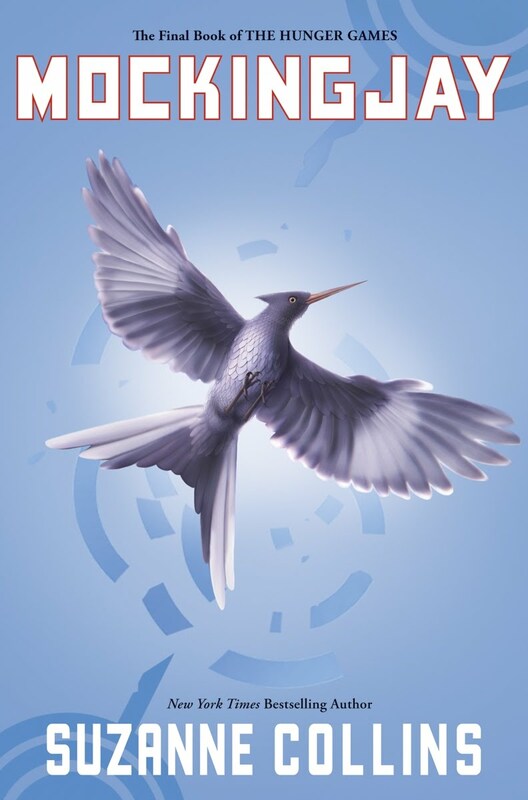 That aspect of Mockingjay is awesome, definitely, but this book, like Catching Fire did start off a little slowly. Since you’re already so invested in the story, you keep at it and trust that it will eventually take off into the thrill ride you’ve come to expect from this series. And it does…eventually. I thought about a quarter of this book could’ve been cut out; at times it felt like I was reading some padded, unnecessary scenes. But when the story did gain momentum, it did so in a big way and the last third of the book is filled with a lot of unexpected twists and events that are truly shocking, heartbreaking, and ultimately very cool. I was satisfied with the ending and am very grateful for the beautiful and informative epilogue. Overall, this book is pretty awesome, despite dragging a bit here and there. I recommend this series for thrill-seekers and fans of other-worldly fiction aged 13 and up. There is no doubt this trilogy has what moviemakers die for, so I look forward to seeing previews for The Hunger Games movie very soon. For this book: 3 ½ boots. For the whole trilogy: 4 boots.